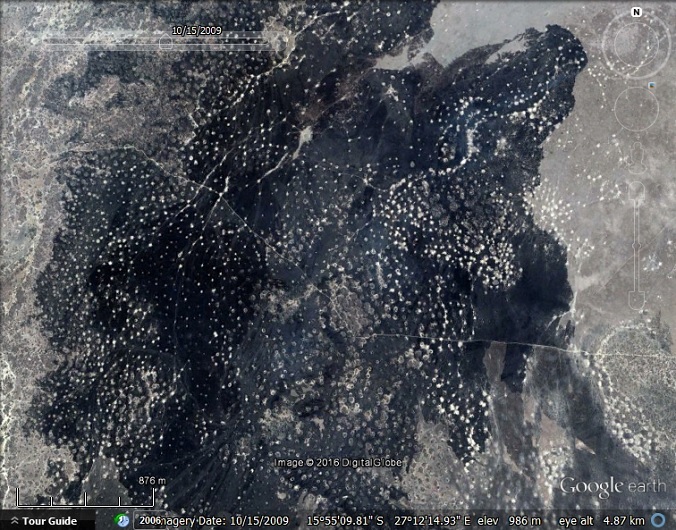 We recently came across this article about an area near the Grand Canyon where you can see circular patches of bare ground in the imagery. The bare patches are believed to be caused by ant nests and so the area has been dubbed the ‘Las Vegas of Ants’. ‘Las Vegas of Ants’, Grand Canyon, Nevada, USA. 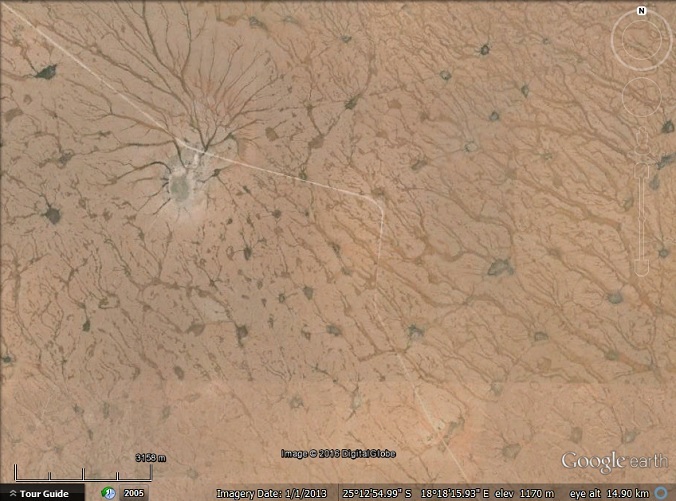 Another location that has similar patterns that may be caused by ants is an area in Namibia. 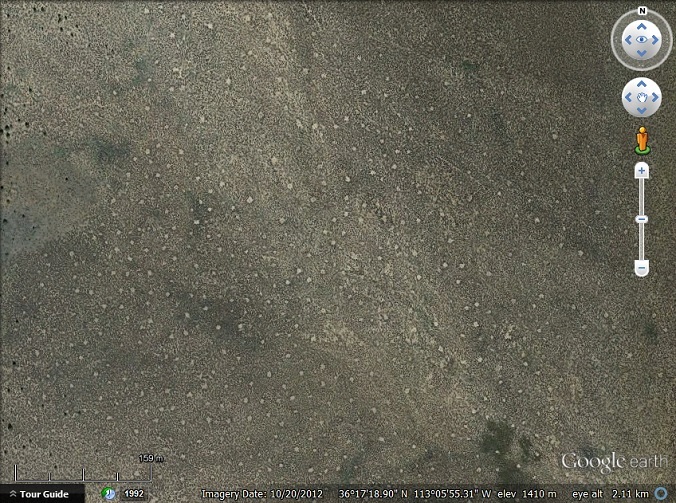 There they are known as ‘fairy circles’. Termite mounds near Choma, Zambia. According to my sister, a biologist, the termite in question is Macrotermes sp. Where farmers are using centre-pivot irrigation it is necessary to flatten the termite mounds, but the marks where they were can still be seen in the fields. Top: a field with uncut trees where the termite mounds are. 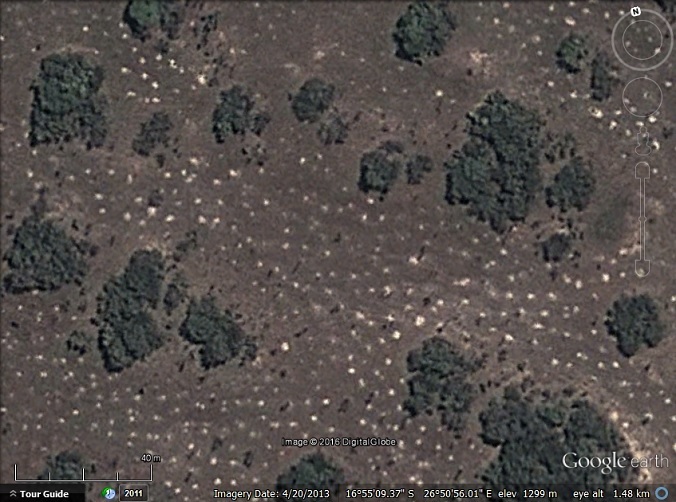 Centre: uncleared bush with termite mounds showing as lighter patches. 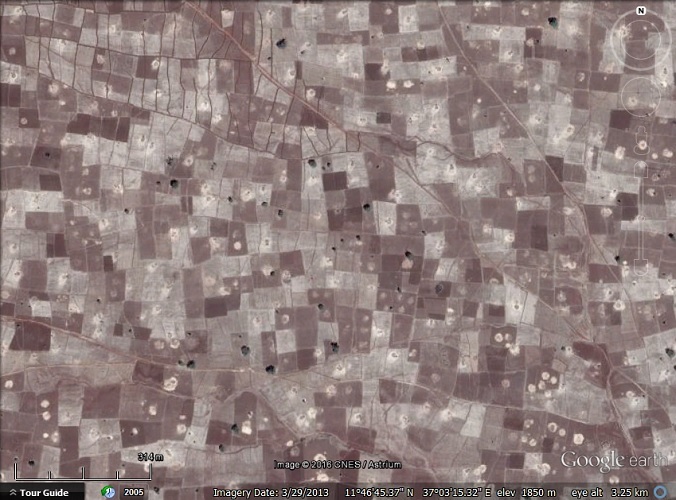 Bottom: Circular fields for centre pivot irrigation with termite mounds flattened. We also came across an area near Choma which has some white dots in the soil that are smaller than the previous termite mounds. According to my sister, these could be another type of termite (possibly Cubitermes sp. ), which makes small grey mounds. An area near Lochinvar National Park, Zambia. This image was captured during a fire (still burning at the top right) which makes the termite mounds really stand out. 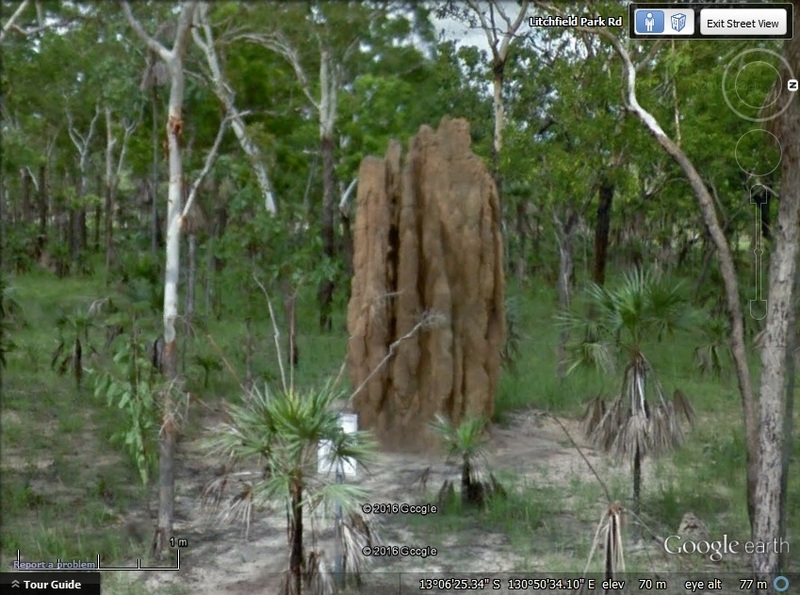 If you look at the satellite view of the area you can just make out some lighter spots in the imagery, which are other cathedral termite mounds and when they are close to the road you can also see them in Street View. Strange patterns that appear to be related to water flow. 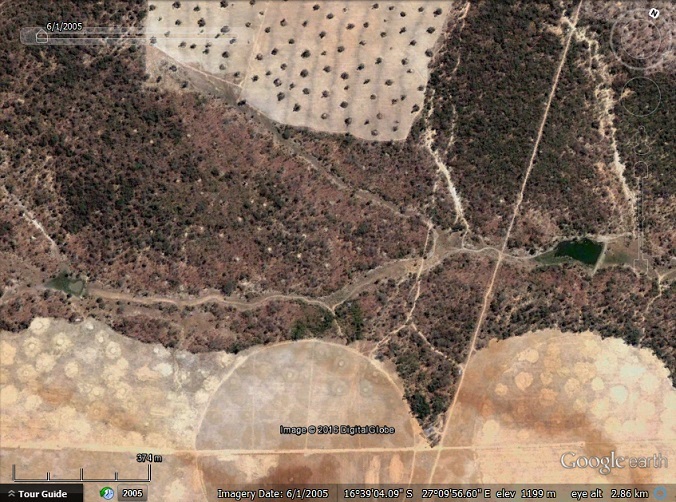 We also came across a location in Ethiopia that is featured in Google’s ‘Earth View’ Chrome extension. 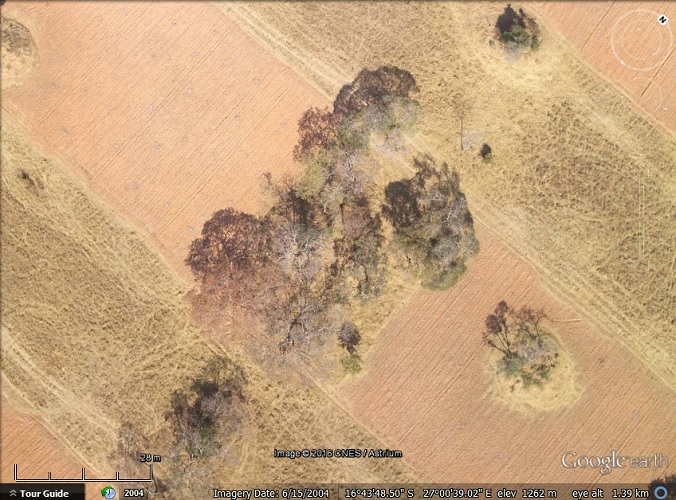 It also shows dots all over the fields that might be termite mounds but we could not find any ground level photos to confirm it. 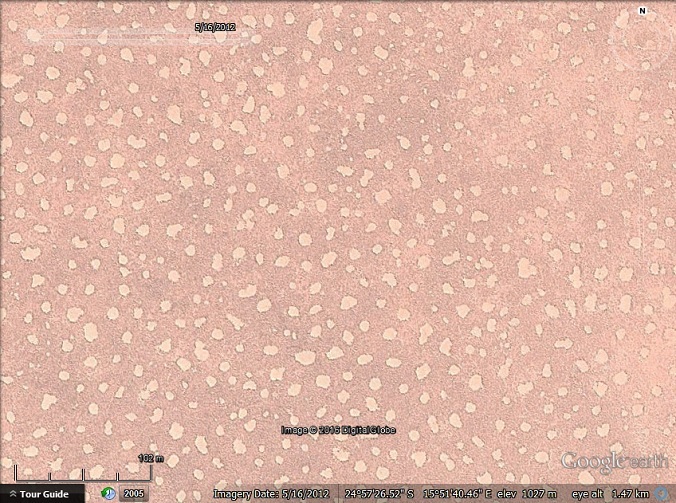 To see all the locations featured in this post in Google Earth download this KML file .